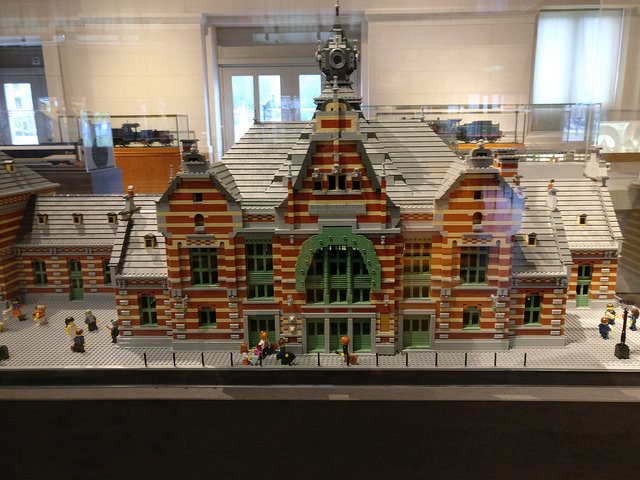 As mentioned by @wardm (hope you are better now BTW) in the Benelux thread, there's a temporary Lego exhibtion in Schaerbeek at Trainworld, more info here, there's even a special train. And for those that speak Dutch an article here. It was the first day today and since my son's school was closed, my husband took him on a trip there. He's taken plenty of pictures and I know there are some people who like trains/stations here so thought I'd share for those that this place is a bit out of they way for. The album is on Flickr here. There was hardly anyone there since it was a school day for most kids. A lovely man from BELUG explained stuff about some modern trains and gave some tips for building and customisinig to my son and husband. Both now really want the new passenger train! Any details about the "pop-up shop"? I assume will have normal sets at normal price, right? @pgeorge they just had Lego at the gift shop, the trains from City and Duplo at normal prices. Maybe there are special pop up shops in the week-end since they really almost had the place to themselves yesterday. Went to train world with my little brother today.. I liked the museum and especially the huge lego replica of the building shown above! Beautifully done! There was a competition for kids where they had to search answers, but both me and my brother felt the questions were quite dull. We had a great day though!